They . 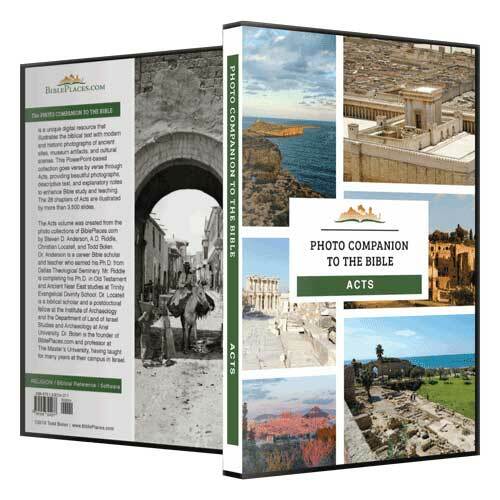 . . passed through both Phoenicia and Samaria (Acts 15:3). Although this road was not part of the route taken by Paul and Barnabas, it illustrates the kind of roads they traveled on. 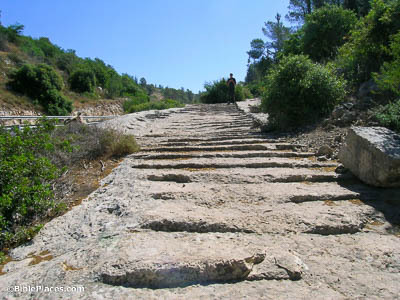 The Romans constructed many roads throughout the Holy Land; the one above was cut into bedrock and leads from the Elah Valley up to Bethlehem. The apostles and the elders were gathered together to look into this matter (Acts 15:6). It is possible that the apostles and elders gathered together once again in the Upper Room. 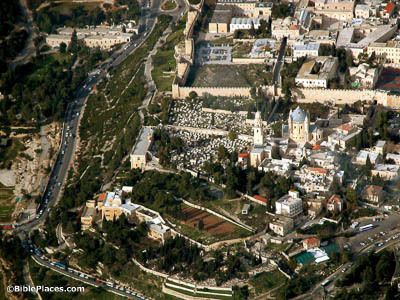 This image of Mount Zion looks down near the location of the traditional Upper Room. The city wall, near the top of the photo, includes the corner of the western and southern walls. Moses from ancient generations . . . in every city . . . is read in the synagogues every Sabbath (Acts 15:21). Moses’s writings were the first five books of the Old Testament, the Torah. 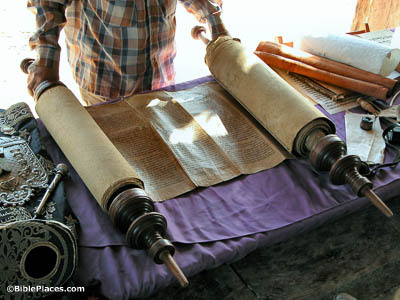 The Jews read through the Torah in a yearly cycle, culminating with a celebration of the completion of the cycle known as Simchat Torah. This ancient custom continues on today. To the brothers who are of the Gentiles in Antioch and Syria and Cilicia (Acts 15:23). Adana has long been an important city in Cilicia, so it is entirely possible that there were believers there. 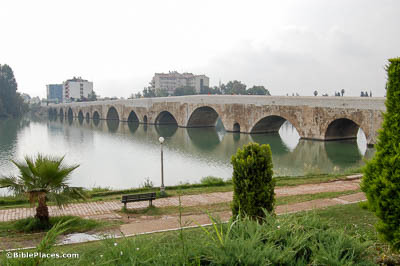 The city sits at a major crossing of the Seyhan (Sarus) River, as attested by this ancient Roman bridge (built either in the 2nd or 6th centuries AD). Barnabas took Mark with him, and sailed away to Cyprus (Acts 15:39). Luke does not say that the two traveling evangelists came to Paphos, but it is reasonable given their former visit there and the conversion of Sergius Paulus (Acts 13:6-12). 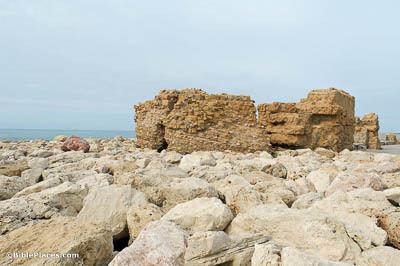 Pictured here are the remains of the city’s ancient harbor.